AR-1700 Automatic Refractometer from Holmarc is a compact instrument used for measuring refractive index and brix at the digital, automatic level. The AR-1700 Automatic Refractometer features exceptional accuracy, automatic temperature compensation, a wide reading range and simple and fast operation. It offers outstanding flexibility to provide accurate readings for a variety of applications. 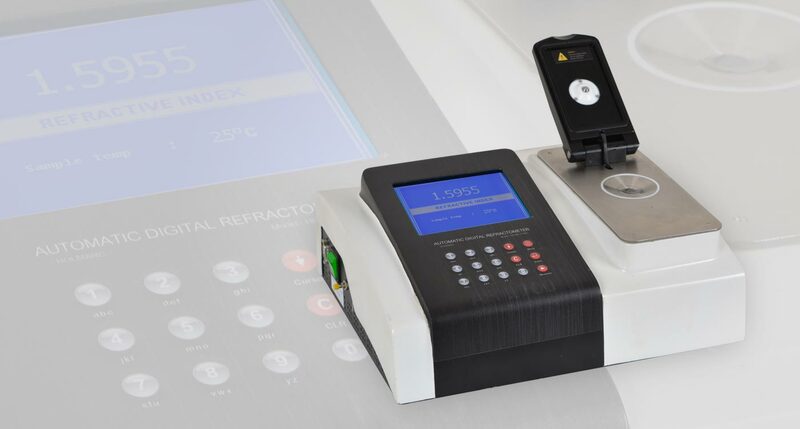 The refractive index measurement is easy, fast and non-destructive and can be used to identify and characterize materials. 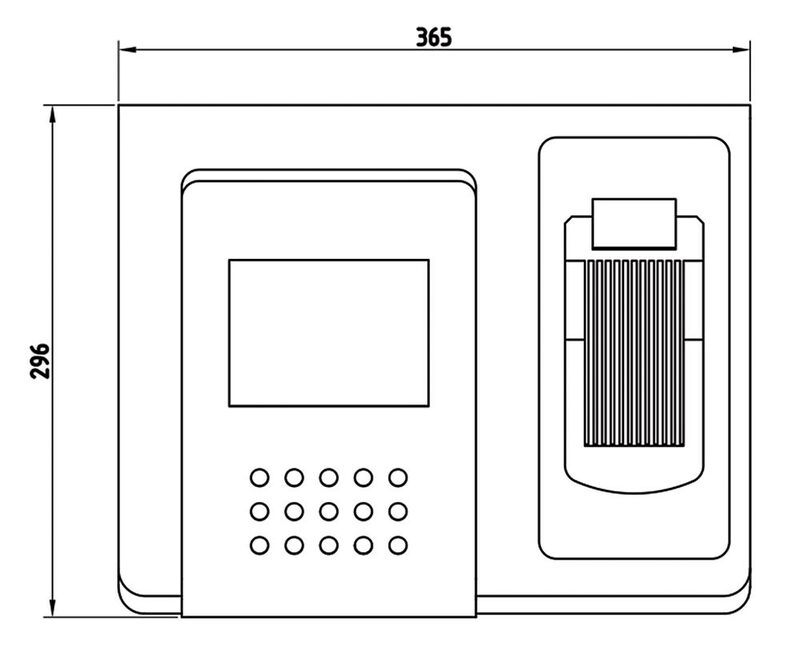 The sample is placed on the measuring prism and is irradiated by a 589nm (Na D-line) LED. The shadow line is detected with a high-resolution linear array CCD and hence the refractive index is obtained using internal software and is displayed. Degrees Brix (symbol °Bx) is the sugar content of an aqueous solution. It is the most commonly used refractometer scale for measuring solids dissolved in water; it corresponds directly to the refractive index scale. Temperature correction or control is necessary in refractometers because refractive index varies with temperature. In Holmarc's refractometer automatic temperature compensation (ATC) corrects readings over a range of temperatures for sucrose solutions. A temperature sensor is also integrated for the precise measurement of sample temperature. The AR-1700 refractometer features an expanded refractive index reading range of 1.3200 to 1.7000 which enables the user to analyze a broad range of samples. The alphanumeric key pad and graphic display provide a means of entering and displaying prompts and data. Regardless of an instrument's specified accuracy, a refractometer's real world performance depends on how well the instrument is cleaned between samples. The AR-1700 addresses this issue by providing a very flat, easy to clean measurement surface with no corners or crevices that tend to trap samples causing contamination.